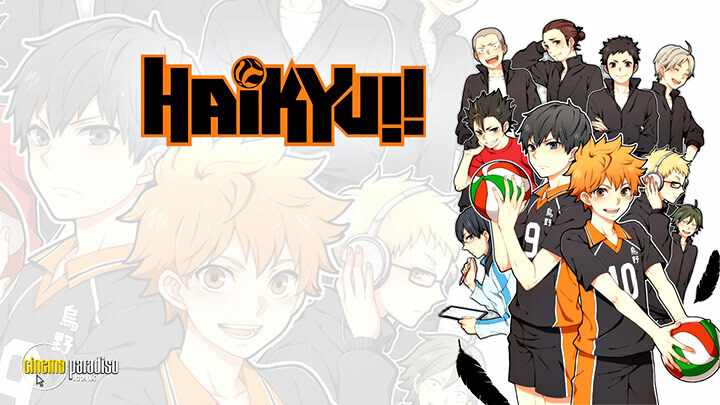 Haikyu!! 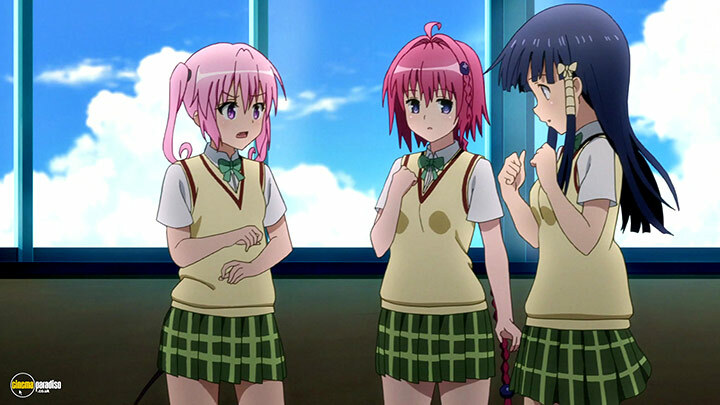 is a Japanese animated sports TV series based on the Haruichi Furudate manga of the same name. 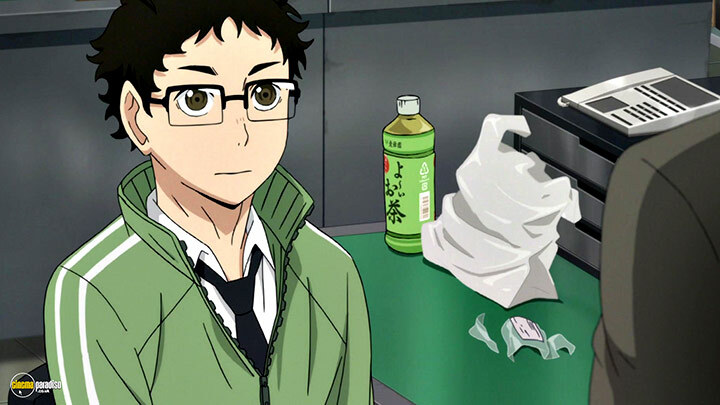 The show features student Shoyo Hinata and his newly founded love for volleyball after an accidental encounter with the sport on national TV. Shoyo’s short stature doesn’t repel him from the idea as he soon battles his way through the ranks, only to find out his greatest sports nemesis is now his new teammate in the Highschool volleyball club. Shoyo Hinata isn't a large guy, but he's got huge ambitions. Ever since seeing a small player score in a National Championship, he's been determined to become the next big thing in High School Volleyball. 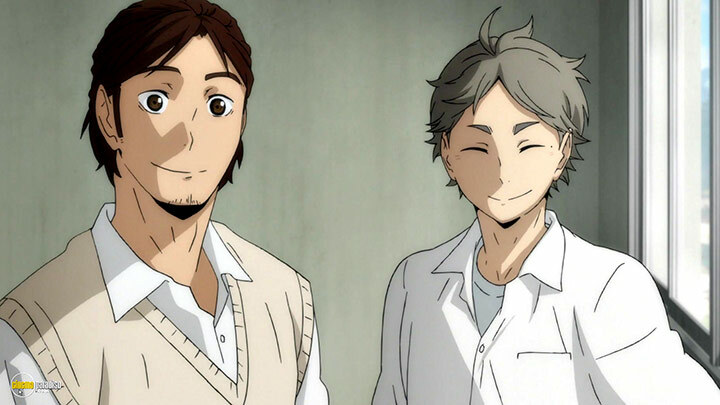 Unfortunately, the one time he was able to pull enough players together to form a team in junior high, they were completely trashed in their first and only match against a team led by up-and-coming setter Tobio Kageyama. Now, enrolled at the same high school where his idol once played, Shoyo's finally going to get his shot to join and play with a top team. 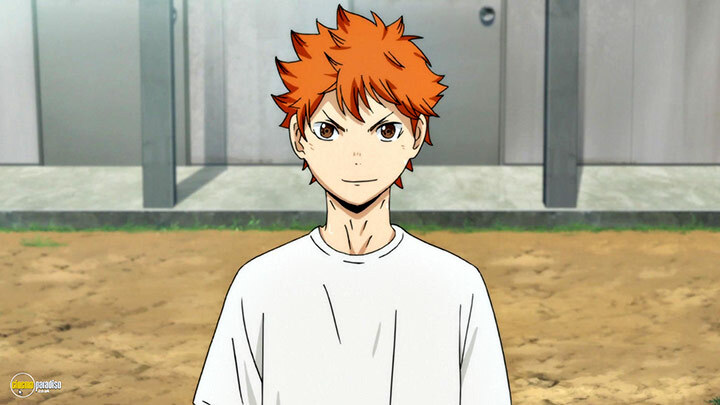 There's just one problem: Tobio Kageyama's decided to attend the same school, and he's already considered one of the best players in the game. Can a kid out of nowhere hold his own against the King of the Court? Or could the rivalry and competition actually be the best thing for both of them? Get ready for a knock-down, throw-down, ultimate show-down barrage of volleys, spikes and blocks as Shoyo leaps for the glory and Kageyama aims for the stars in Haikyu!! 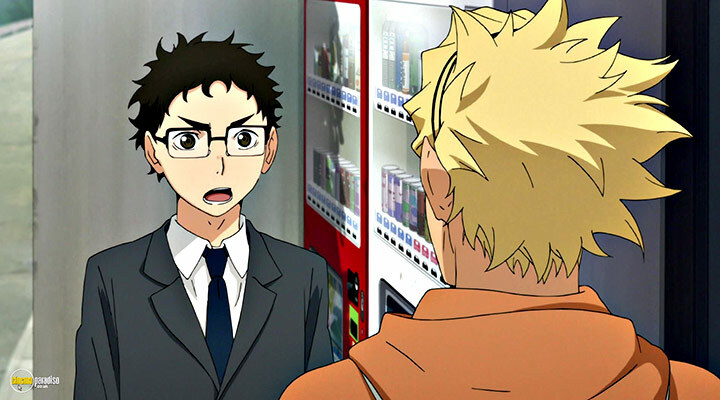 Following their participation at the Inter-High, the Karasuno High School volleyball team attempts to refocus their efforts, aiming to conquer the Spring tournament instead. 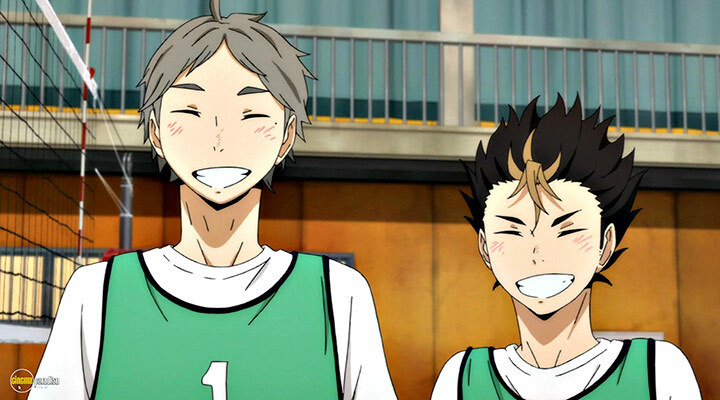 When they receive an invitation from long-standing rival Nekoma High, Karasuno agrees to take part in a large training camp alongside many notable volleyball teams in Tokyo and even some national level players. By playing with some of the toughest teams in Japan, they hope not only to sharpen their skills, but also come up with new attacks that would strengthen them. 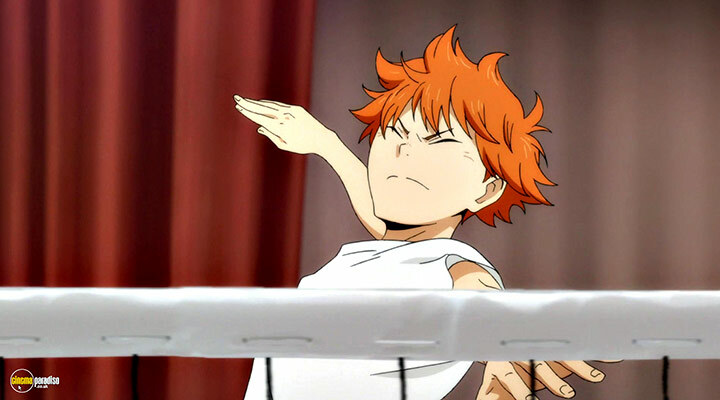 Moreover, Hinata and Kageyama attempt to devise a more powerful weapon, one that could possibly break the sturdiest of blocks. 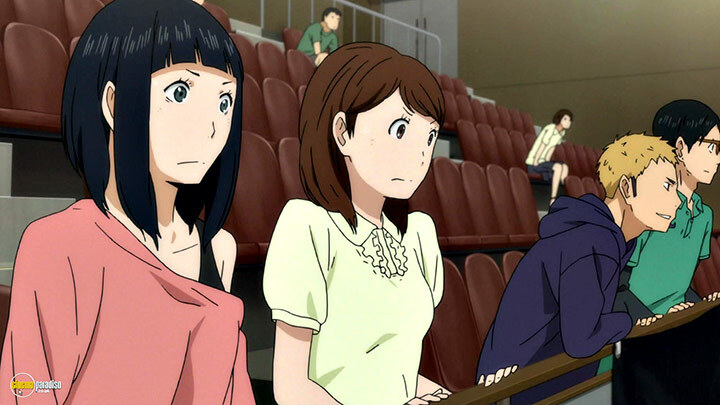 Facing what may be their last chance at victory before the senior players graduate, the members of Karasuno's volleyball team must learn to settle their differences and train harder than ever if they hope to overcome formidable opponents old and new - including their archrival Aoba Jousai and its world-class setter Tooru Oikawa.